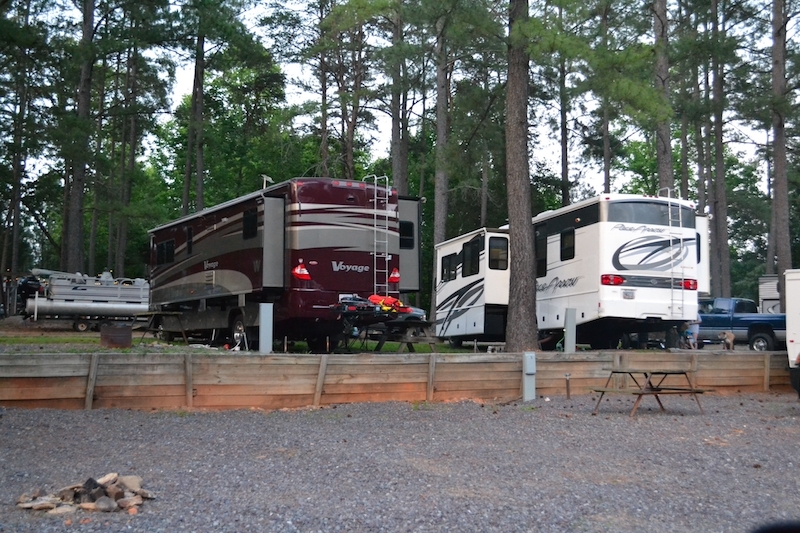 ***Monthly camping is available in H section only and is based on availability. 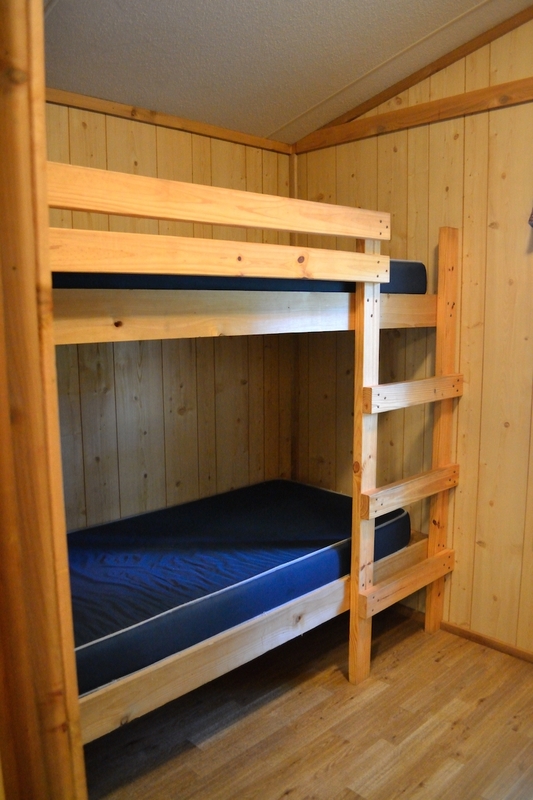 Each one room cabin is equipped with electricity, heat, AC and 2 twin beds & 1 double bed to sleep four people. Picnic table, water and charcoal grill are outside. There is no bathroom or kitchen. Linens are not supplied. No Pets are allowed inside cabin. 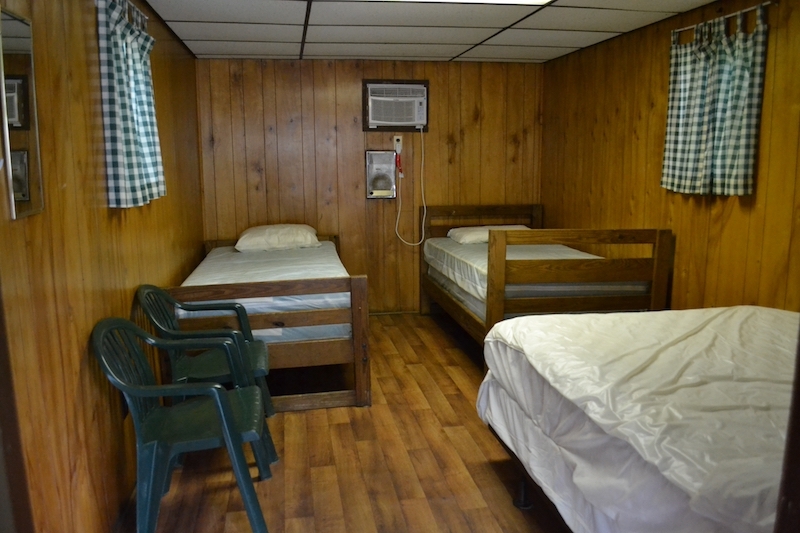 DELUXE CABINS ( A, B, C ) Each one room deluxe cabin is equipped with electricity, heat, AC, ceiling fan and 4 double beds to sleep eight people. Picnic table, water, charcoal grill electric outlets are outside. There is no bathroom or kitchen. Linens are not supplied. No pets are allowed inside cabin. 8 person maximum occupancy. 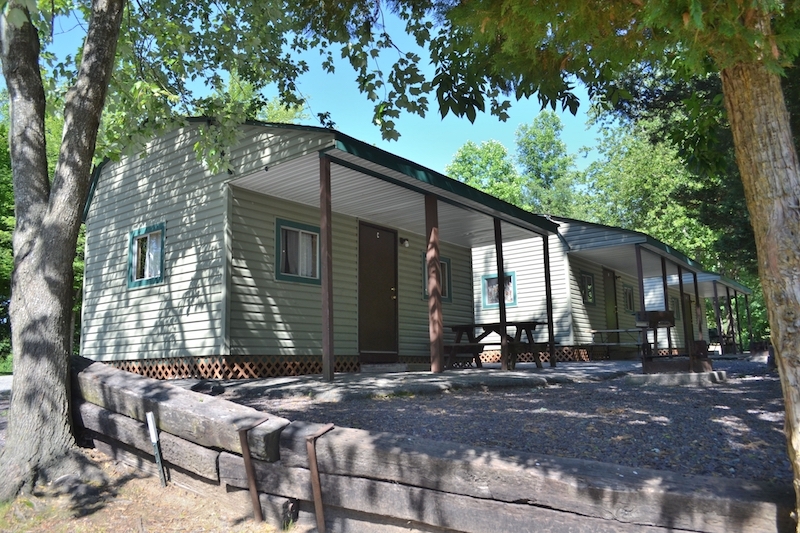 Our Deluxe Lodges are the answer for those who like the outdoors, but need more amenities than a bare bones cabin. 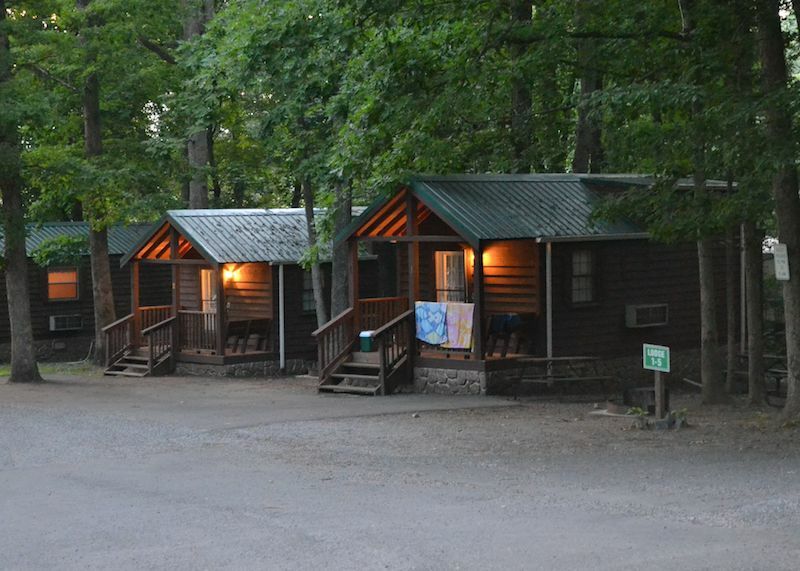 This will be your home away from home. 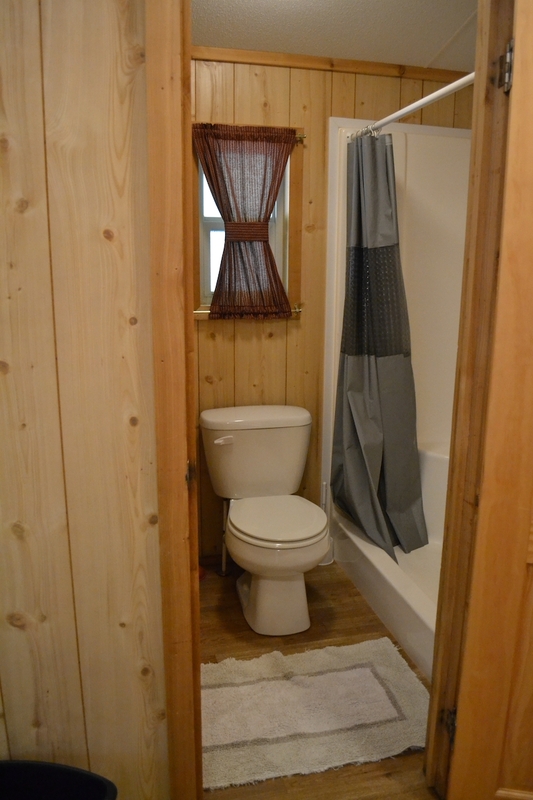 Our fully equipped lodges have a full bathroom, a fully equipped kitchen(no dishes or pots & pans), separate bedroom and living room. Linens are not supplied. 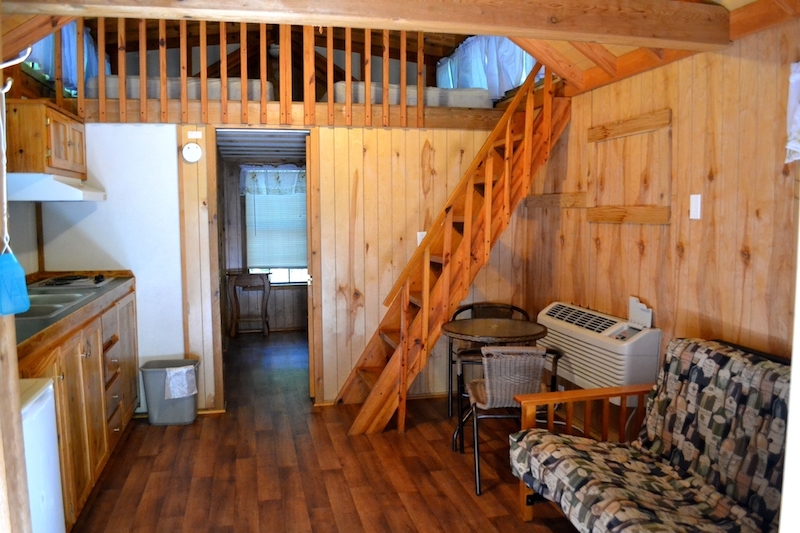 There are two additional double beds in a loft (without linens). 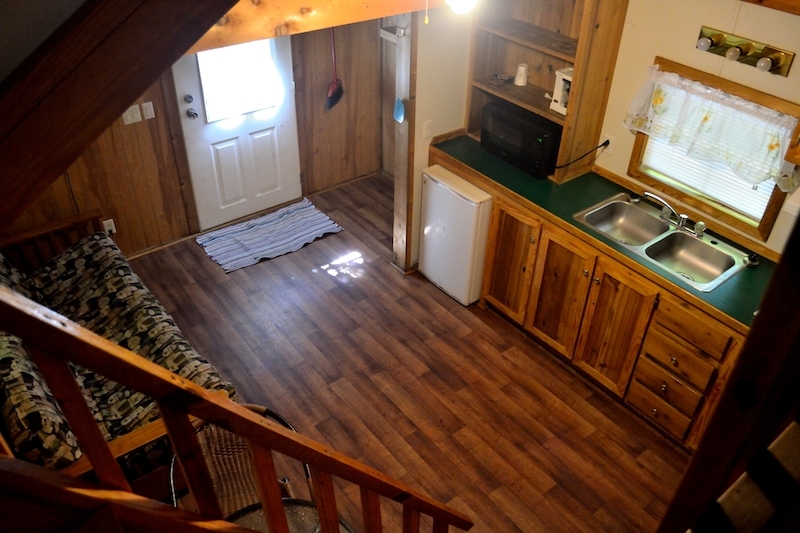 The Lodge is attractively decorated and is climate controlled, with AC and Heat. 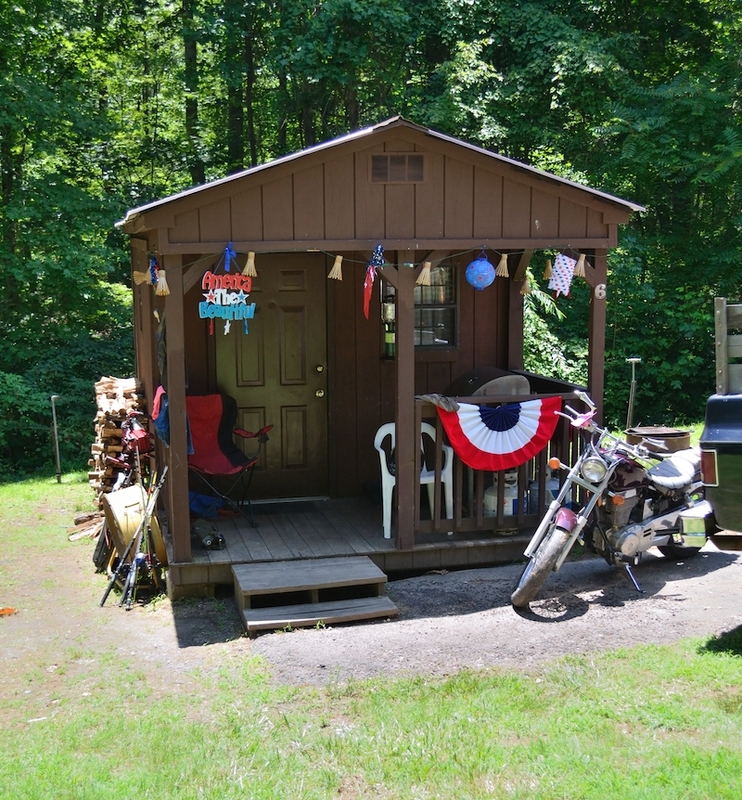 They are conveniently located near the boat ramps and beach area with a water view from the porch. 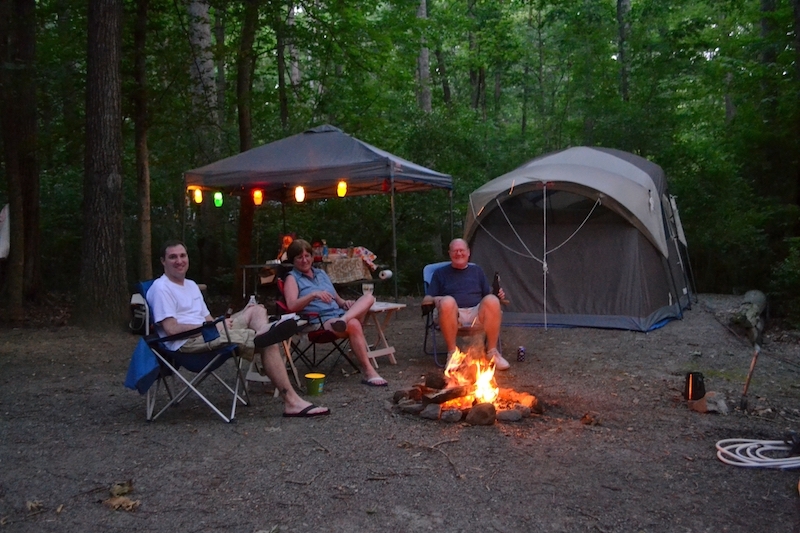 Senior Citizen (65 and older) discount of 10% off base camping fee. * Cancellation is at least Fourteen (14) Days prior to arrival, your deposit will be refunded less a $10.00 service charge. * If cancellation is at least Seven (7) days prior to arrival, your deposit will be deferred. * If your cancellation is less than Seven (7) days prior to arrival, your deposit will not be refunded or deferred. 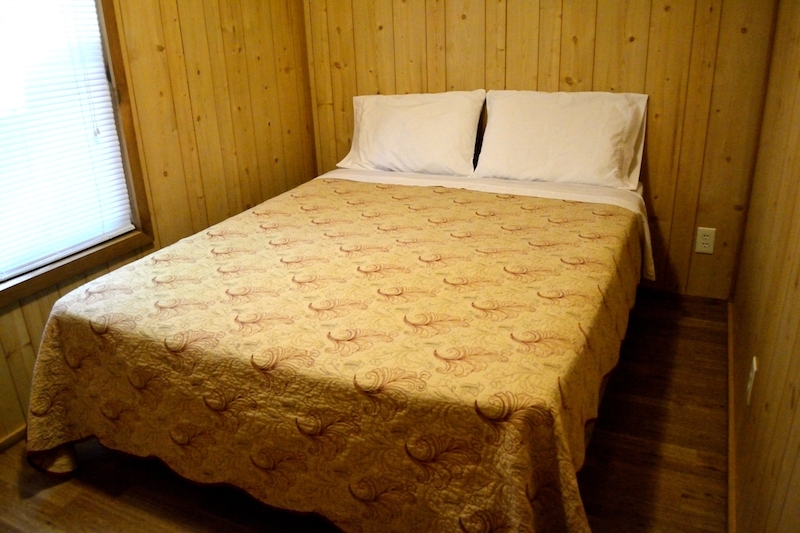 Our rates are based on a party of 4 people, with sites holding a maximum of 6 people per site. 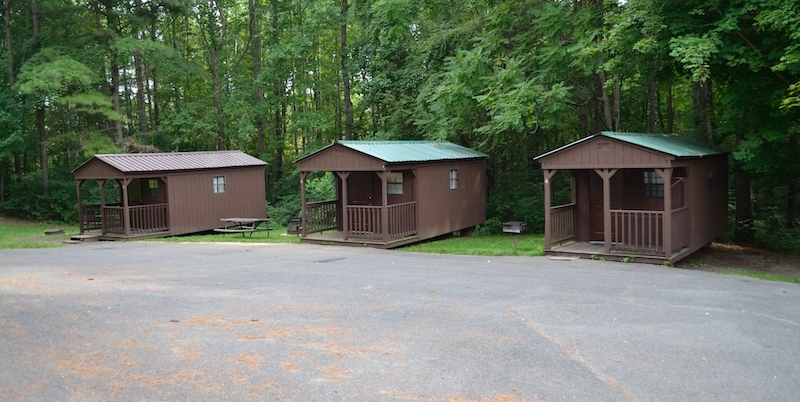 The 5th and 6th person (age 4 and up) are assessed a fee of $5.00 per person per night. 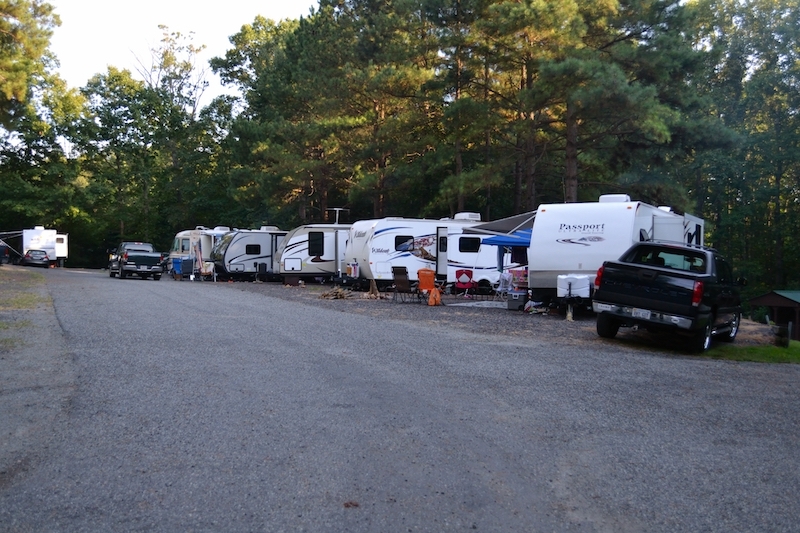 If your party has more than 6 people another site must be booked. 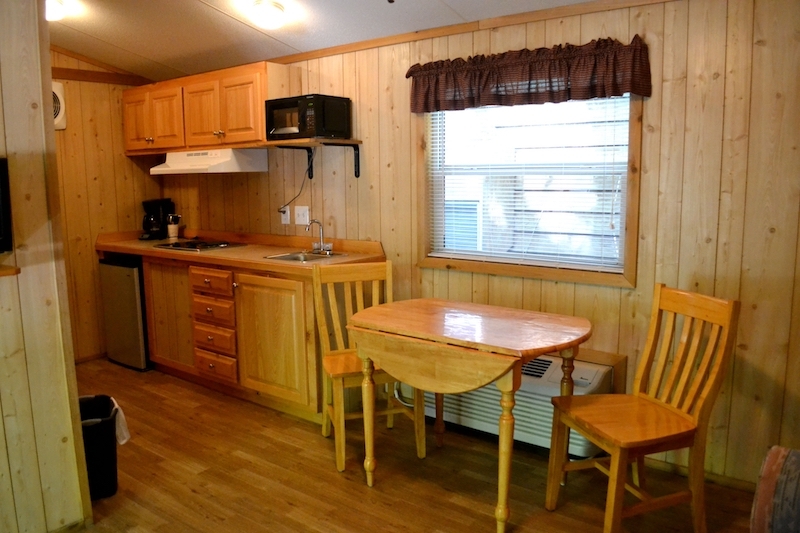 Regular Cabins maximum is 4 persons, Deluxe Cabin maximum is 8 persons. No charge for children 3 and under. There is a 2 night minimum between Memorial Day and Labor Day, a 3 night minimum on all holidays. One night's deposit is required for non-holiday reservations, and a 3 night's deposit is required for holiday weekends. Deposits must be received within a week of booking, or your reservation may be cancelled without notice. Deposits placed on credit cards will be charged to card at time reservation is made. Checks are not accepted at check in.